The magnitude 7.9 (Mw) Wenchuan, China, earthquake of May 12, 2008 caused at least 88,000 deaths of which one third are estimated to be due to the more than 56,000 earthquake-induced landslides. The affected area is mountainous, featuring densely-vegetated, steep slopes through which narrowly confined rivers and streams flow. Numerous types of landslides occurred in the area, including rock avalanches, rock falls, translational and rotational slides, lateral spreads and debris flows. Some landslides mobilized hundreds of million cubic meters of material, often resulting in the damming of rivers and streams, impacting river ecosystems and morphology. Through an extensive search of both Chinese- and English-language publications we provide a summary of pertinent research on environmental effects, emphasizing key findings. 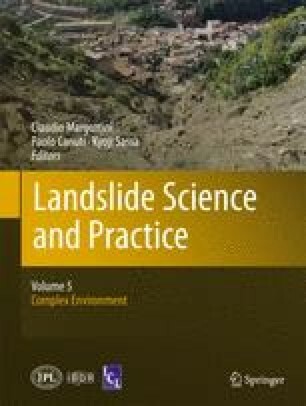 Environmental effects caused by landslides include the alteration of agriculture, changes to natural ecosystems, changes in river morphology due to landslide dams and other effects such as sedimentation and flooding. Damage by landslides to the giant panda reserve infrastructure and habitat, was severe, threatening the survival of one of the world’s rarest species. The Panda reserves are of national significance to China, and to the vital tourism economy of the region. One of the major impacts to both the natural and built environment is the complete relocation of some human populations and infrastructure to new areas, resulting in the abandonment of towns and other areas that were damaged by the earthquake and landslides. The landslide effects have affected the biodiversity of the affected area, and it has been hypothesized that strict forest preservation measures taken in the years preceding the earthquake resulted in a reduction of the environmental damage to the area.